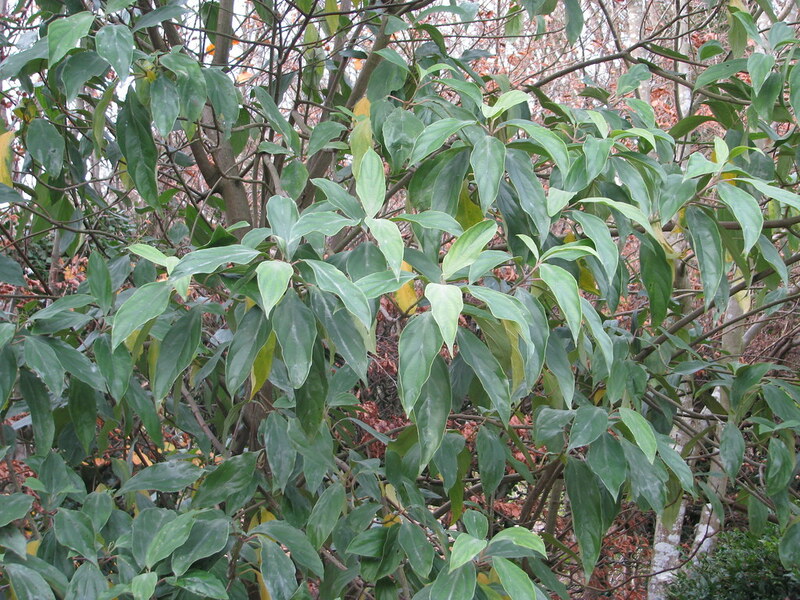 An evergreen species grown for the unusual greyish cast to the foliage and panicles of creamy flowers in summer. Bloomy black fruits. 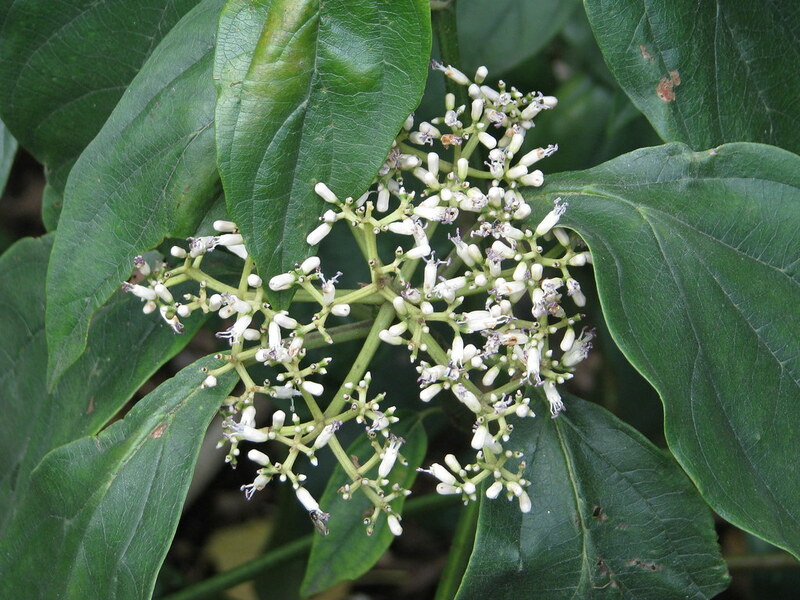 An uncommon large shrub – excellent on chalk.